The creation of what know of as Chateau Greysac dates back to the late 1700’s. However, the modern era for the estate begins in 1975, when it was purchased by the Agnelli family from Baron Francois de Gunzburg. The Agnelli family were of course already quite famous for owning the automobile company, Fiat. 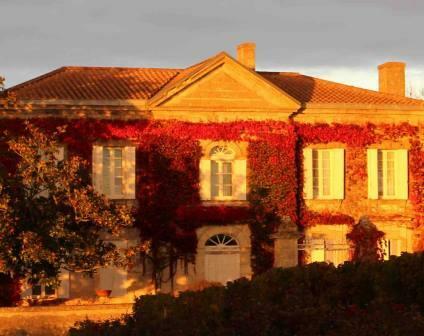 After buying Chateau Greysac, they entered into a partnership to purchase Chateau Margaux in 1977, with the Mentzelopoulos family. They eventually sold their shares in Margaux to Corrine Mentzelopoulos. Once the Agnelli family took over Chateau Greysac, they completely modernized the wine making facilities, cellars and replanted portions of the vineyard. In late 2012, Jean Guyon purchased Chateau Greysac from the Angelli family. Jean Guyon was already well-known in Bordeaux as the owner of Rollan de By, Tour Seran and Haut Condissas. The 70 hectare, Left Bank vineyard of Chateau Greysac is planted to 50% Merlot, 40% Cabernet Sauvignon, 8% Cabernet Franc and 2% Petit Verdot. The vineyard is situated in the Medoc appellation, just north of St. Estephe. The terroir is gravel, clay and limestone soils. The vines are on average, 25 years of age. Previously, the estate planted 2 hectares of Sauvignon Blanc for the production of white, Bordeaux wine. But that has been discontinued and the vines were removed. However, starting with th 2016 vintage, the property once again began producing Greysac Blanc, from a blend of 80% Sauvignon Blanc and 20% Sauvignon Gris. To produce the wine of Chateau Greysac, vinification takes place in thermo-regulated stainless steel vats. Malolactic fermentation takes place in tank, although a small portion of the malolactic fermentation takes place in barrel. The wine is aged in 20% new, French oak barrels for 12 months before bottling. On average, the large production here is close to 45,000 cases of wine per year. Chateau Greysac needs some time before it can be enjoyed. Young vintages can be decanted for an average of 1 hour or so. This allows the wine to soften and open its perfume. Older vintages might need very little decanting, just enough to remove the sediment. Chateau Greysac is usually better with at least 1-3 years of bottle age. Of course that can vary slightly, depending on the vintage character. Chateau Greysac offers its best drinking and should reach peak maturity between 2-9 years of age after the vintage. Chateau Greysac is best served at 15.5 degrees Celsius, 60 degrees Fahrenheit. The cool, almost cellar temperature gives the wine more freshness and lift. The wine of Chateau Greysac is best served with all types of classic meat dishes, veal, pork, beef, lamb, duck, game, roast chicken, roasted, braised and grilled dishes. Chateau Greysac is a perfect match with Asian dishes, hearty fish courses like tuna, mushrooms and pasta as well as cheese. Medium bodied, forward, easy drinking, sweet, fruity and earthy with just a touch of tobacco, the wine offers early cordiality. Medium-bodied, easy-drinking, juicy and correct with a forward style and gentle cassis in the finish. Easy drinking, forward, Merlot dominated quaffer with freshness, charm and sweet, dark cherry and plum with a hint of espresso in the soft, textured finish. Pleasant, light, drinkable quaffer without faults that is meant for early drinking. Mature, pleasant, easy drinking, soft wine right out of the bottle.